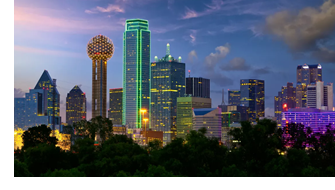 ​​​ DALLAS-FORT WORTH – The metro area added 101,200 jobs in the year ended in March 2018, according to preliminary figures from the Bureau of Labor Statistics. So far in 2018, DFW has stayed near the top of the list of U.S. cities with the fastest-growing employment sectors. Only New York City beat DFW for annual job creation in March, coming in with 121,800 jobs. Job gains in North Texas have topped 100,000 a year for more than four years.